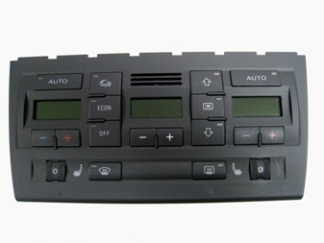 The control panel which allows the driver to adjust temperature, fan speed, air flow direction, and other settings. Auxillary controls may be located in the back of the center console or roof. In cases where the Heater/AC Control shares the same face plate as the radio, the face plate may not be included.